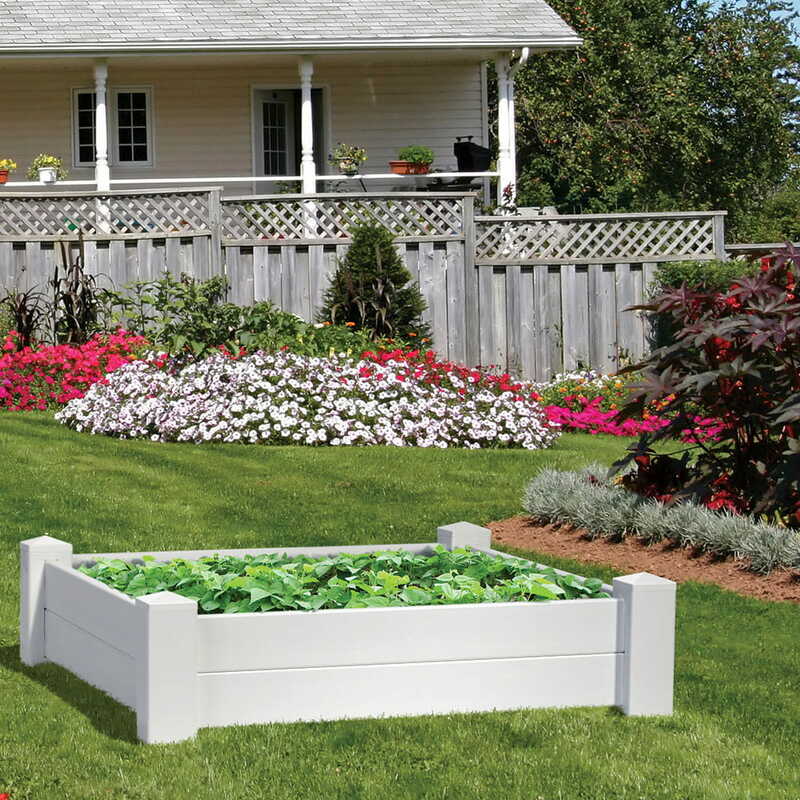 An L-shaped raised garden bed fits perfectly in the corner of a yard and offers ample gardening space while keeping all plants within reach. 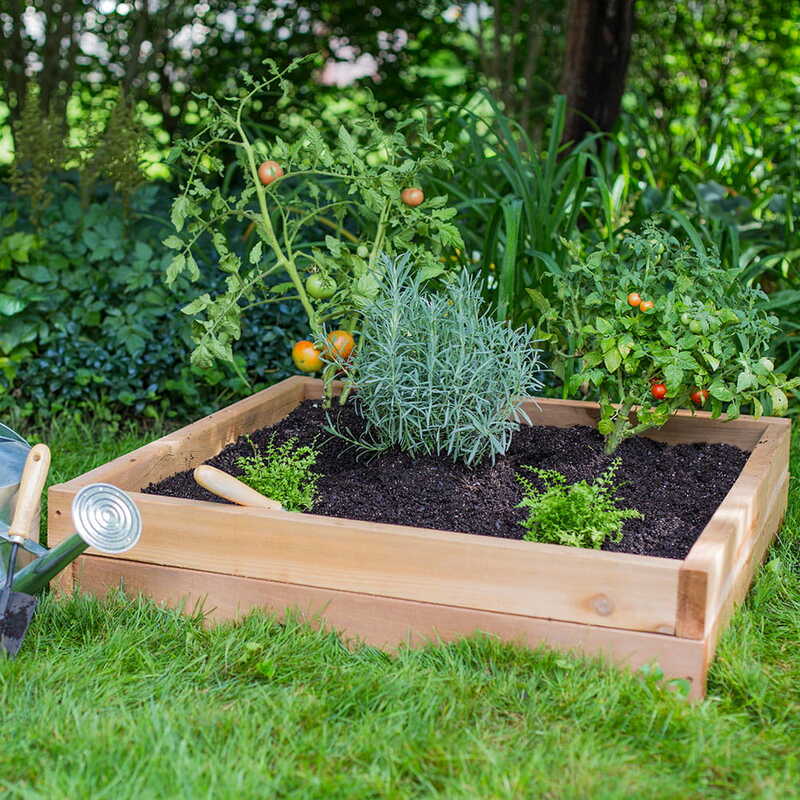 You can create an L-shaped garden bed by combining two of our 2x2 Rustic Raised Garden Bed kits. 2. Create the two long (4 ft.) sides by combining the 2 ft. side assembles. 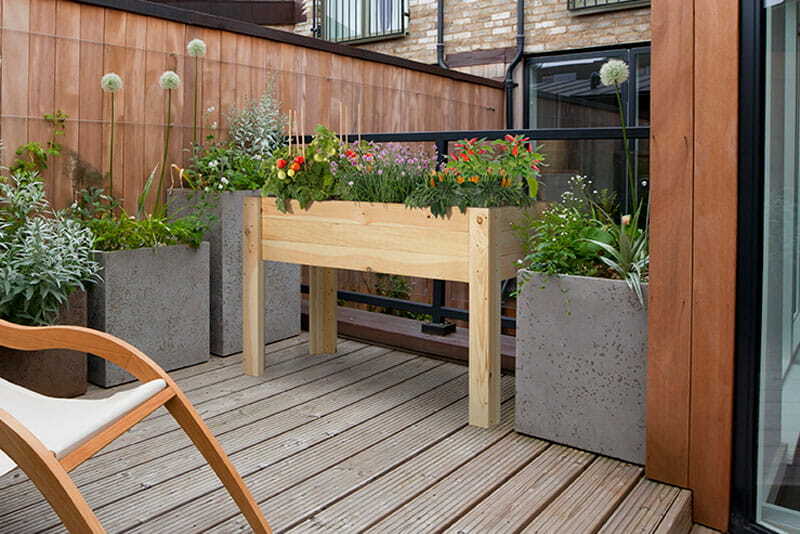 Find a flat surface such as a patio or create one using the side assemblies that aren't being used (see photo for example.) Place two 2 ft. side assembles on the flat surface, nail plates up, and slide ends together so they are flush. Fasten the two sides together. We used a nail plate and a hammer, but there are other ways to do it. You could toe-nail the two sides together or use another fastener of your choosing. Repeat to create the second long side. 3. Create a large L.
Slide the two long (4 ft.) sides together at a 90-degree angle, nail plates facing in. Fasten through the two predrilled holes using included screws. 4. Create a small L.
Slide two short (2 ft.) sides together at a 90-degree angle, painted sides facing in. 5. Connect the large L and small L together using a short (2 ft.) side. Place the large L and small L about 2 ft. from each other. Slide a short (2 ft.) side between the two L's so they interlock at the corners. Fasten the short side to the L's through the predrilled holes using included screws. 6. 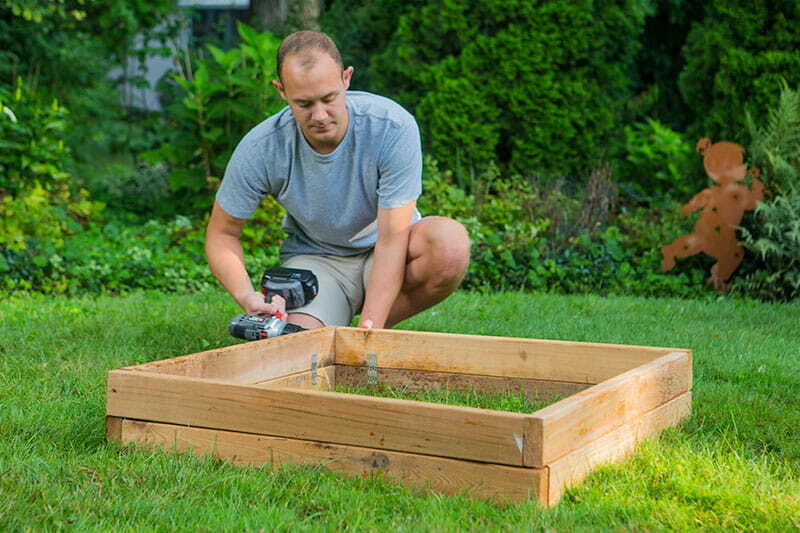 Complete the raised bed by fastening the final short side to the L's following the instructions in step 5. There you have it! 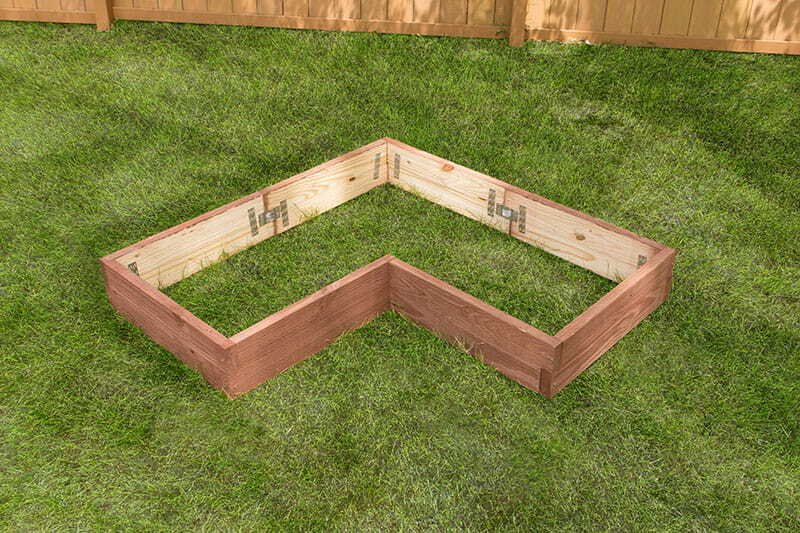 A completed L-shaped raised garden bed. Now, get ready to prep the area and plant. 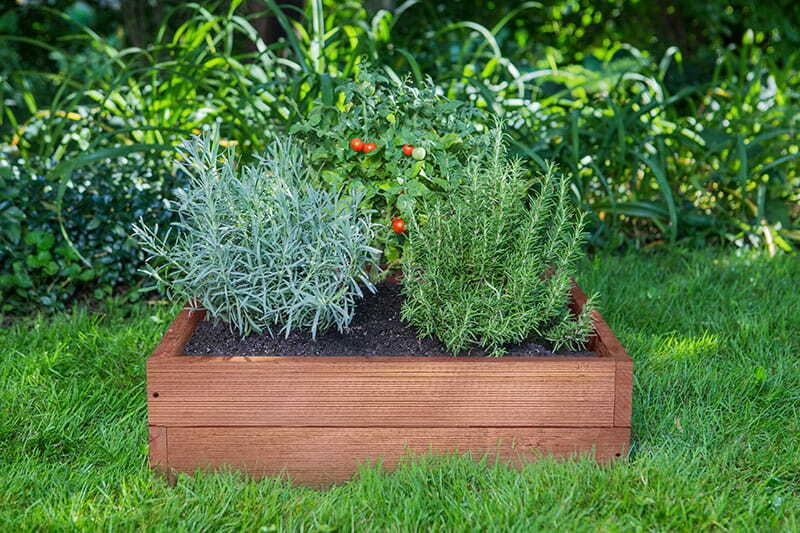 Visit our 2x2 Rustic Raised Garden Bed product page to find out where to purchase!